What is a Successful Translation Brief Made of? The success of any translation or trans-creation project relies on the ability to determine how workable the source text is for the intended audience and to decide how much it needs adaptation to achieve its intended purpose in the target language. Writing a good, detailed translation brief helps you to get the right eventual outcome for your project. What is a Translation Brief? A translation brief (or translation request) is a set of indications and instructions that an individual needs to compile and send to your translation provider at the beginning of every translation project. Even if you are just looking for a cost estimate or a quote, your translation provider will give you a much more accurate evaluation if they have all the needed information. Translation briefs are important when you first work with a translation provider as they can also provide key information regarding your specific needs and the intended use of your content. Likewise, translation briefs are also good for large translation projects where it is worth investing a little extra time during the initial stages of the project to ensure that everyone is on the same page. One reason for writing a brief to accompany your translation project is that texts that are literal translations of the original often lose their intended meaning, and the translator needs to avoid this happening. The most basic example of this would be a source text which contains idiomatic language. When translated literally (word for word), idioms often become nonsensical or seem out-of-place in other languages. This can be true even within the same language across different regions and cultures. But there’s more to writing a translation brief than just determining what’s to-be-done about any idiomatic language it contains. It’s important that your translator knows who the intended audience is; not just their nationality but also information such as their age, interests, and level of subject knowledge. This will help them understand how best to tailor the copy to suit the needs of the specific target audience. Now, let’s have a closer look at the elements of the brief. so the translator can use within the translation provider’s system. so everyone can easily keep track. i.e. whether it is marketing material, software strings or technical documentation. i.e. the area of specialization (manufacturing, life sciences, etc). A well-written translation brief makes all the difference to the success of a translation project. A name you give to the translation request identifies the project and will appear on relative documentation (for example quotes and invoices). i.e. what do you want the user to do upon consuming the content? If you want the user to make a purchase, then the translator may use a more persuasive language. If the purpose is to inform or guide the user through a series of steps, then the translator may choose the more straightforward wording. This is a key element of any translation brief, as it has a direct impact on the tone of voice, the style and the terminology used in the translation. By sharing information about the demographics of your target audience, the translators know how to tailor the content to your specific needs, thus contributing to improve the user experience. An effective translation brief should also include information about the target country or region. 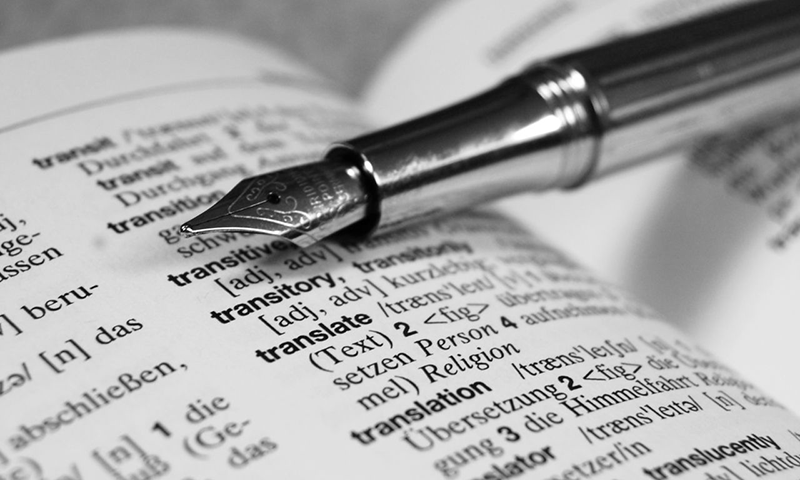 As you probably know, there are many pluricentric languages, like French, German, Spanish or English, among others, that people speak in different parts of the world so it is important for translators to understand what is the field for the translation will so they can adapt the language and local conventions accordingly. This is a critical factor as it can have a considerable impact on the quality and the cost of your project. Rush jobs may happen. But keep in mind that, on average, a linguist translates some 2,000 words per business day. Also, with large projects that involve multiple files and staggered deliveries, remember to communicate any priorities, such as the order in which you want to receive the translated files. When working with language services providers, a common best practice is to provide the source files for translation (i.e. sending the original editable files instead of PDFs and other non-editable file formats). Nowadays, most translation companies can handle simple file formats like text documents or slides without a problem. However, if you need to translate more complex file formats, such as spreadsheets full of macros, XML or JSON, you need to ensure that your translation partner has the technological capabilities to handle such files without messing up any of the code. It should be clear that the more information your translation brief conveys about your project, the greater the chance of success. It is, therefore, a good idea to share any reference material you have available that may come in handy for the translators. For example, for a technical manual you could send pictures illustrating the different components, while for a brochure, you could send any available earlier editions. If you have not already done so, definitely consider sharing any existing glossaries or terminology databases with your translation provider so they can apply approved terminology throughout your translations. Alternatively, let your translation supplier know if they should adhere to any sector-specific standard terminology. Likewise, if you have any corporate style guides available, whether mono or multilingual, it will be a good idea to send these to your translation provider. This will ensure that your translations adopt the same tone and conventions of your source texts. Finally, you can always add any additional comments at the end of your translation brief to provide specific instructions or additional information that didn’t fit into other sections.